The only thing I would like to do to it is add a set of plating. Has anyone ever tried doing that? In fact people have though I can't remember where I saw it. That is exactly my problem, I remember there being a thread for mods like panels on the outside and such but I figured we should restart here. 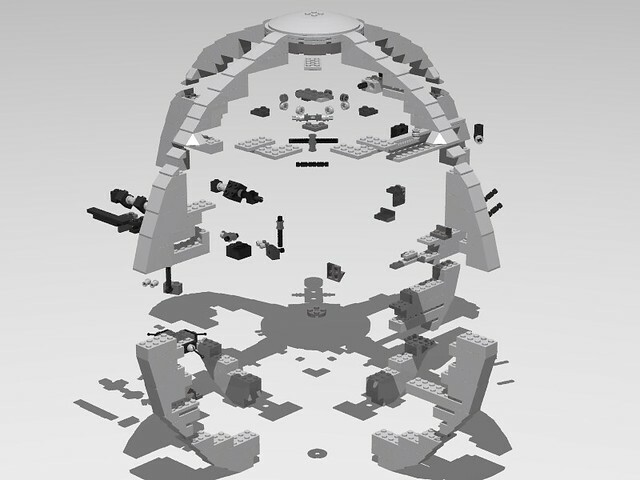 Dish 10x10 rare, but available from Lego. Mini lever (LBG base and handle), replace with black lever handles. 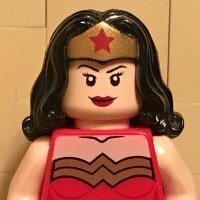 32184, 6632 - red - should these change? Neat! I am currently thinking about getting one to put on display in my room! 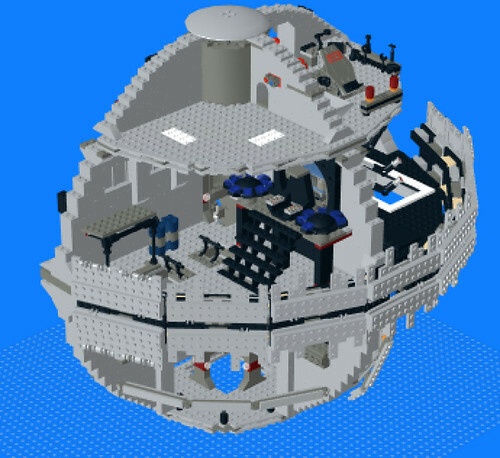 When the Death Star re-release first went public, this forum was full of people midnight about the blocky curves and saying that it would have been super easy for Lego to produce smooth curves. However, I have yet to see anyone actually show this apparently simple mod, which would suggest it's not so simple after all! I'd love to see someone sorry out the blocky walls. I think simply tiling them all would immediately make a big difference but I've just never gotten round to it. Nice! That does look a lot better! It is possible.... here is the file if you want to work on making the structure stable because its only held on by 1 axle lol. I don`t want to work on it anymore since its really taking a toll on my MacBook Pro. you could also try closing that ugly gap running down the middle of the two plates with clips. well that certainly looks like a good start! Will keep on working on it! 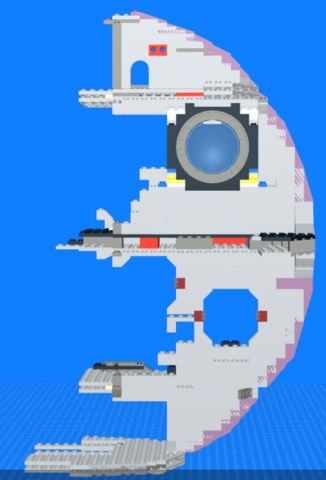 Been working hard on this project since i got new PC a few days ago.... rounded out the entire shape of the build and I'm going to start to recolor unnecessarily bright parts throughout the set. The purple, yellow, and lime will be changed once I'm done. 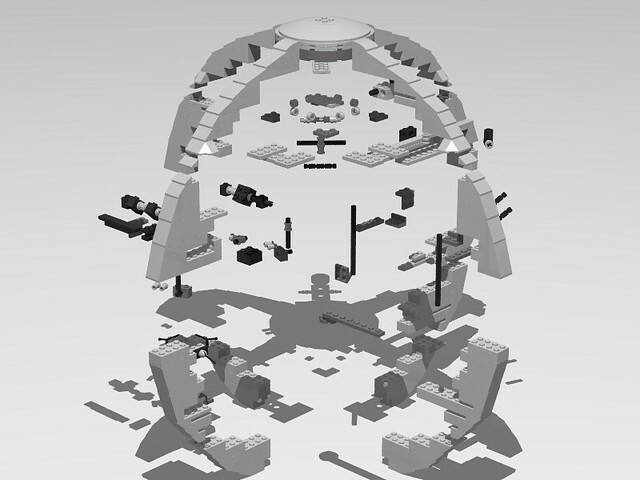 ill have a just the modified parts file and an empty floor file. 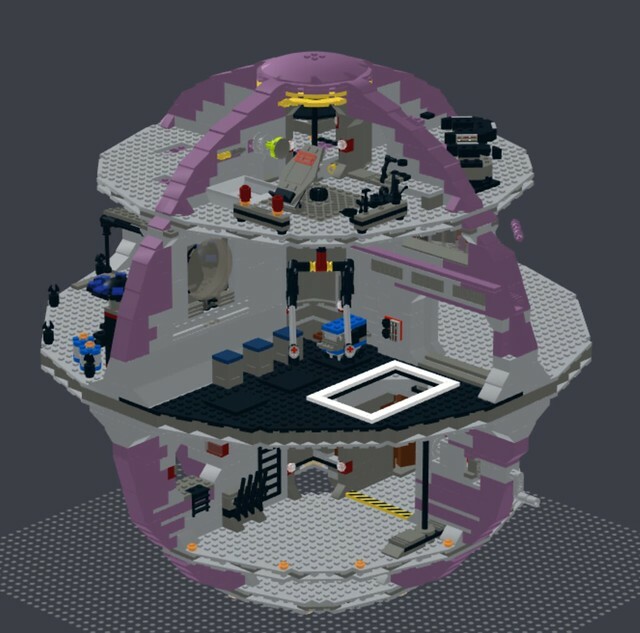 Wow you got a new pc just because you couldn't load a Death Star? Been meaning to get one for a long time and I guess not being able to load the Death Star without my old one overheating was the final nail in the coffin for me. Just a question, but why are you modding 10188 instead of 75159? I would be modding the more recent version instead. 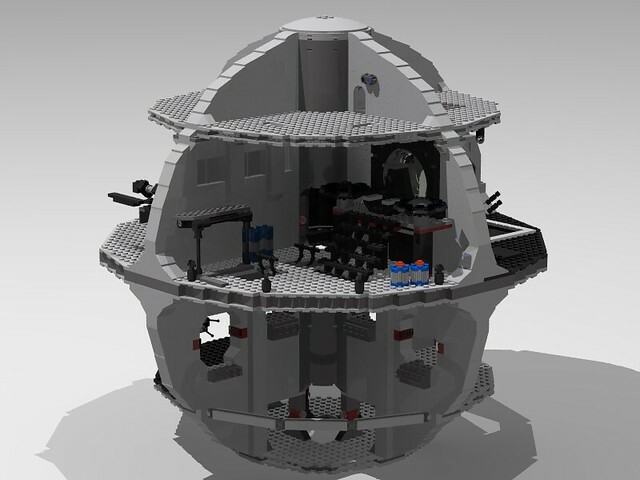 I am modding 75159. That's the one i have. What tells you different? 75159 added a lot of nonsense bright yellow and red parts that weren't in 10188. for example the bushings and the 4 length axle. No problem! 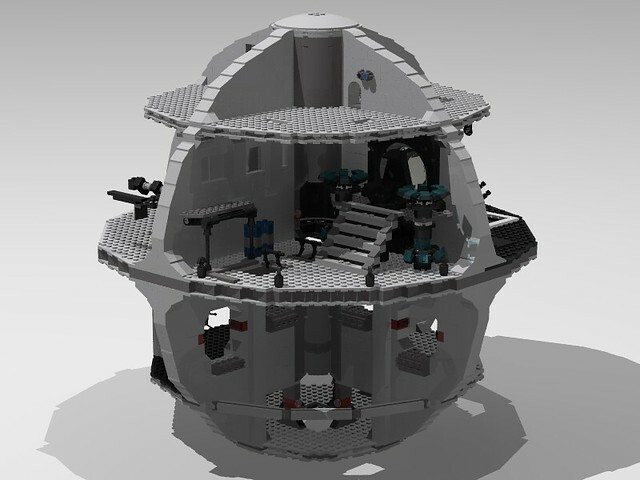 I'll have to add that back in, I was planning personally to ditch the holder and the tie fighter completely and put a mini millennium falcon in the hangar bay, but some people like the way the set is stock play features wise; just with recolors and the smooth walls so ill see what i can do. 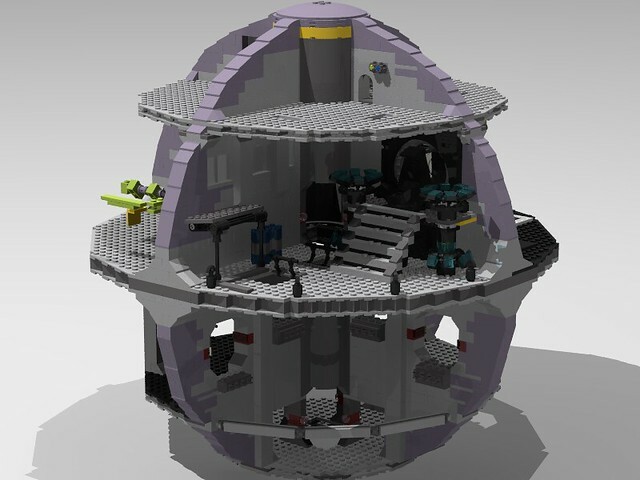 I'm currently busy building set 75093 since noone has made it in LDD, LDraw, or Stud.io (strangely) and retrofit it into the death star. I think I'm done with modifying the set! 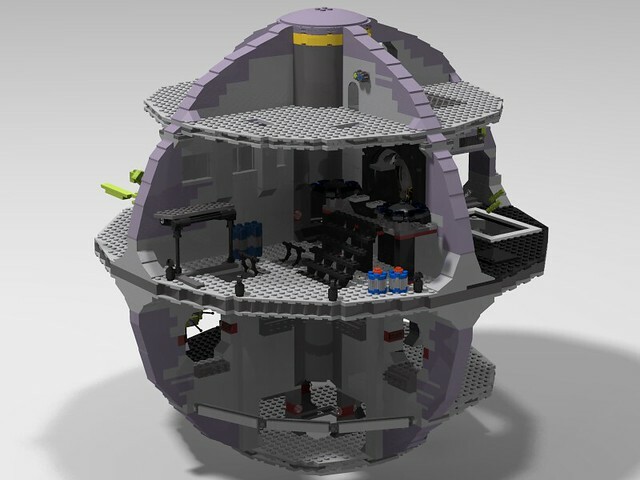 I looked into the tie fighter and I'm not sure what you mean about the connections as it seems pretty solid to me. I Made 6 different files with different combinations to make it as easy as possible.